Another way to review variable attributes is to use Proc Contents. Proc Contents is a Proc Step (as opposed to Data Step). 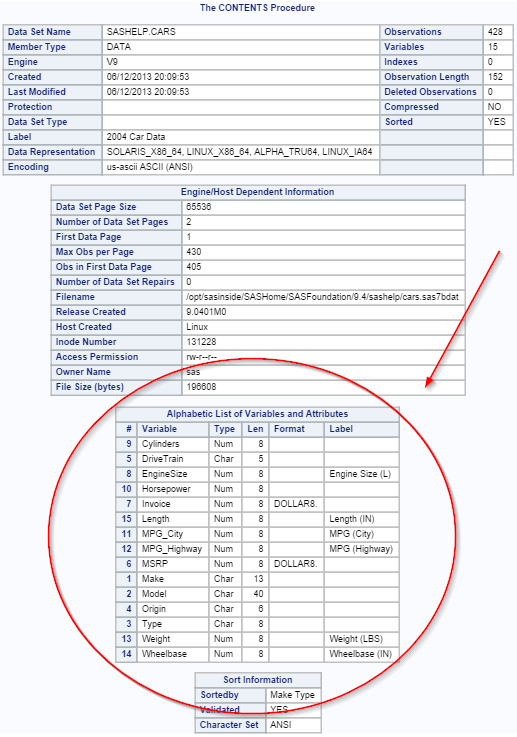 The Proc Contents in this example prints the details of the CARS data set such as the number of observations, variables, and data set page size. 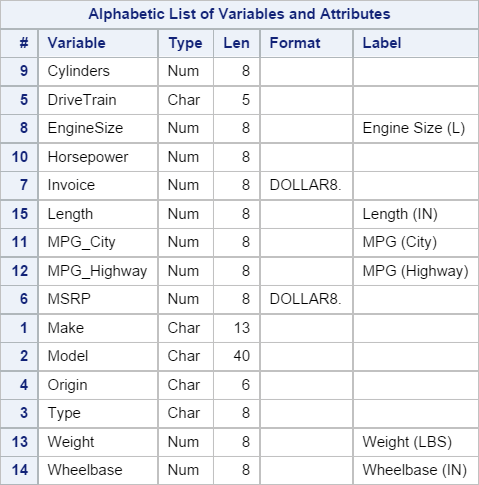 This allows an overview of the variable attributes for the entire data set. 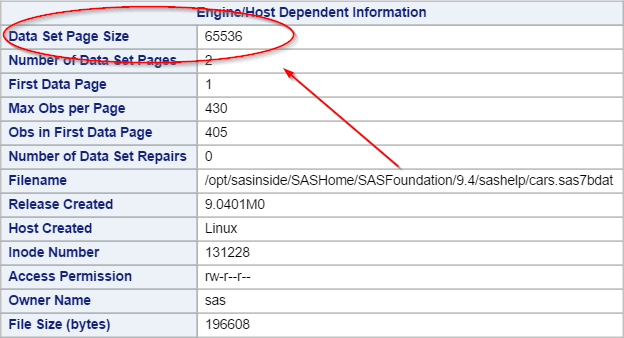 Locate the FISH data set from the SASHelp library. Display the list of variable and their respective attributes using Proc Contents. How many numeric variables are there in the data set?